Russian President Vladimir Putin made the first appearance ever for a Russian President to the Russian Orthodox Church Congress of top clerics in a drive for even tighter relations with the Orthodox Church. The convention occurs every four years. This year the gathering is taking place in Moscow’s Cathedral of Christ the Saviour. “The symbolic gesture, hailed by Patriarch Kirill as a “historic event,” shows Putin’s eagerness to fortify already strong ties with the church ahead of March presidential polls, despite a constitutional separation between church and state in the country,” wrote AFP. “The state, while it respects the self-sufficiency and independence of the church, expects to continue our cooperation in such important spheres like education and healthcare, cultural and historical heritage, and helping families bring up youth,” Putin told the assembly. 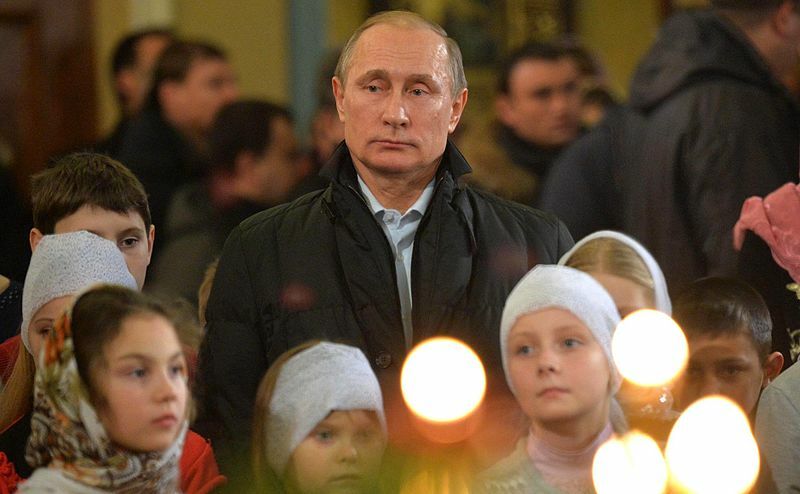 The church is “the guardian of moral and spiritual values” of the country and “it is impossible to imagine the Russian state without the spiritual and historical experience of the Orthodox Church,” Putin said last May, when he inaugurated a new church in Moscow.